Pacific India has also marked their presence in the field of Education with social welfare intact in it. SAKET EDUCATION SOCIETY is a Social and Educational face of the Pacific. It’s an organization registered under the Societies Registration Act with the broad objective of promoting education. Incorporated on 14 September 2001, the SAKET EDUCATION SOCIETY started with DELHI PUBLIC SCHOOL, INDIRAPURAM on 1 April 2002. The group believes in extending education facilities to the underprivileged masses and through this they can most effectively attain this social objective. The first endeavor of the society towards achieving its goals is the start of DELHI PUBLIC SCHOOL, INDIRAPURAM. 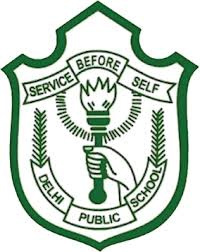 SAKET EDUCATION SOCIETY has joined hands with DPS Society, which is accredited and has a chain of more than 100 schools running under this name, to promote DELHI PUBLIC SCHOOL, INDIRAPURAM in 8 Acres area and is successfully running the show. The Group commits its support to this initiative. The notion of good corporate citizenship and business ethics is not new to Pacific. That’s a commitment we’ve embraced since our inception and our firm and employees have proudly carried out the same for years as a tradition. Just as we seek to be the most trusted provider of lifetime building solution for our customers, we seek to be a trusted and responsive member of the communities we serve as well. "Being educated should not be the privilege of rich alone"
Among its many endeavors, SAKET EDUCATION SOCIETY takes care of many poor and needy students by providing not just free education but free books and uniforms too, under the scheme of a Shiksha Kendra. DPS genuinely feels the need to encourage a spirit of togetherness and an altruistic attitude towards the under privileged sections of our society. DPS Shiksha Kendra is a concept, it is a challenge; it is a pioneering effort to reach out to the weaker sections of the society.